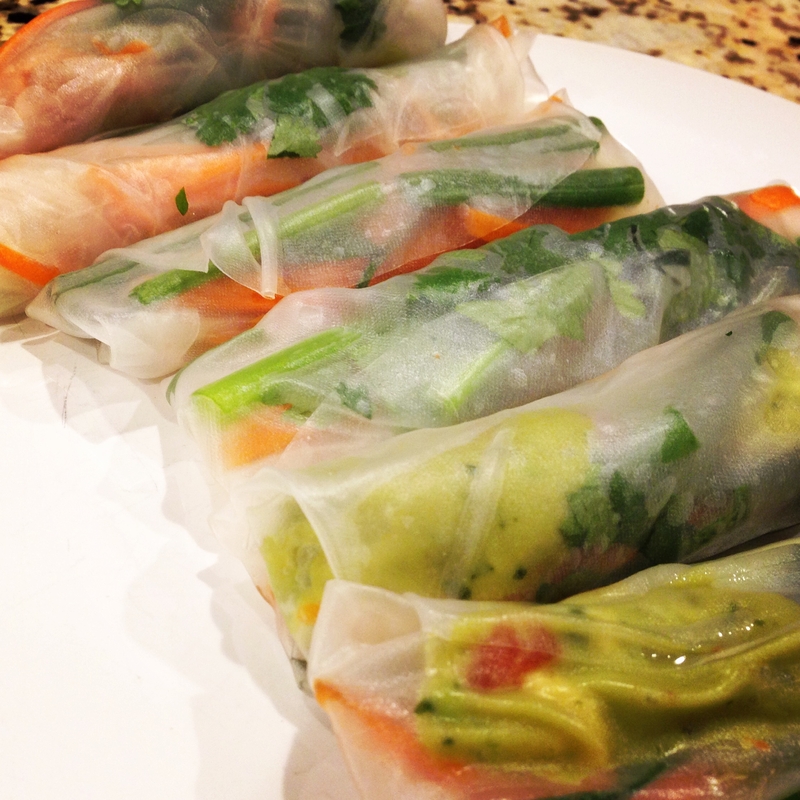 This is a mega post showing you a complete meal with Asian flair. We all really enjoyed this light dinner yesteray on a beautiful, sunny day in Charlotte. Fall and Spring really are the best here. Lately it feels like sun and rain are alternating everyday! 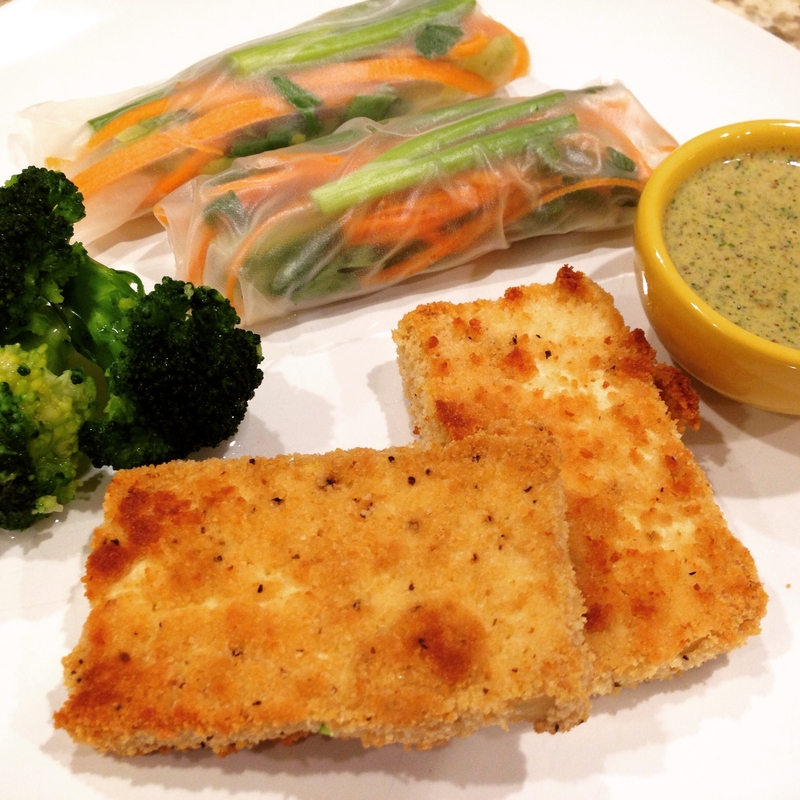 I made a baked, breaded tofu with the easiest batter, fresh raw veggies for my soft rice paper spring rolls, and a dipping chutney that pulled it all together. Some shy away from tofu because it is made of soy which can have estrogenic effects. This is normally only in large quantities. It has many, many benefits including plant based, disease fighting, protein and absorbs any flavor. Like anything, we eat it in moderation. It is actually far more important to stay away from hidden soy that is in many processed foods and heavily pesticided (soybean oil, soy lecithin). 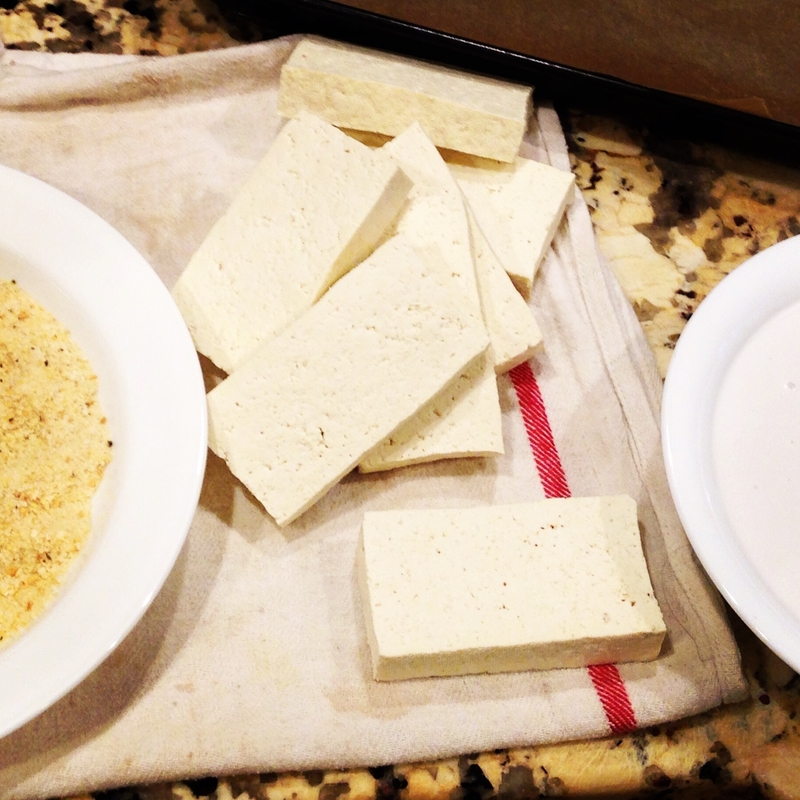 Tofu is very versatile from baking to frying to sautéing, and absorbs the flavor of any spice or marinade combination. 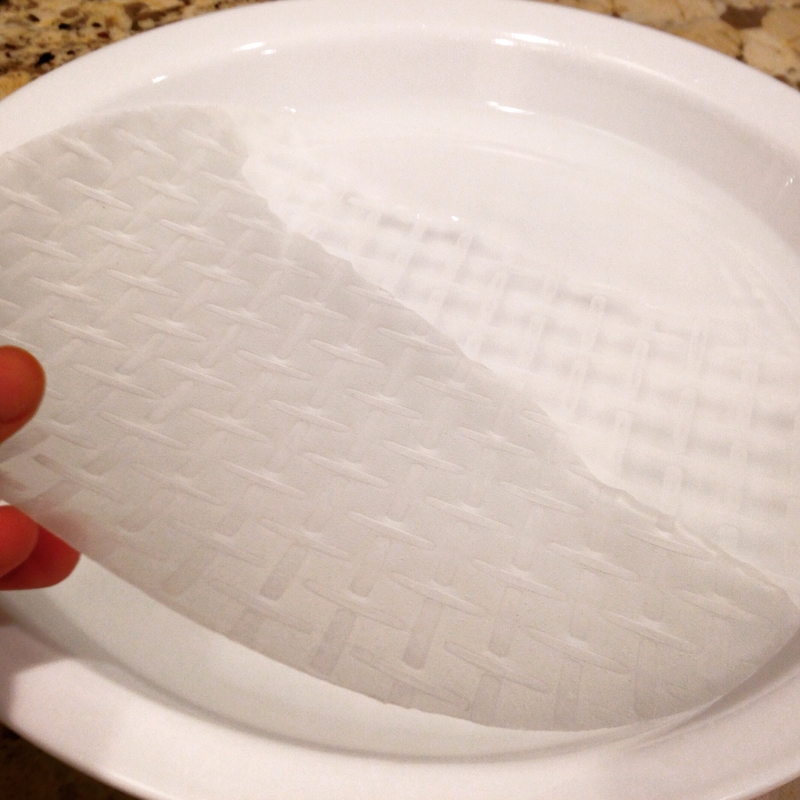 I use these Ikea kitchen towels to absorb the excess water. The tofu will remain moist but you don’t want it to be dripping. No flour or eggs in this breading process saves time! You cannot taste the coconut milk in the final product at all. It just creates a “glue” so you can get a nice layer of breadcrumbs to stick on. 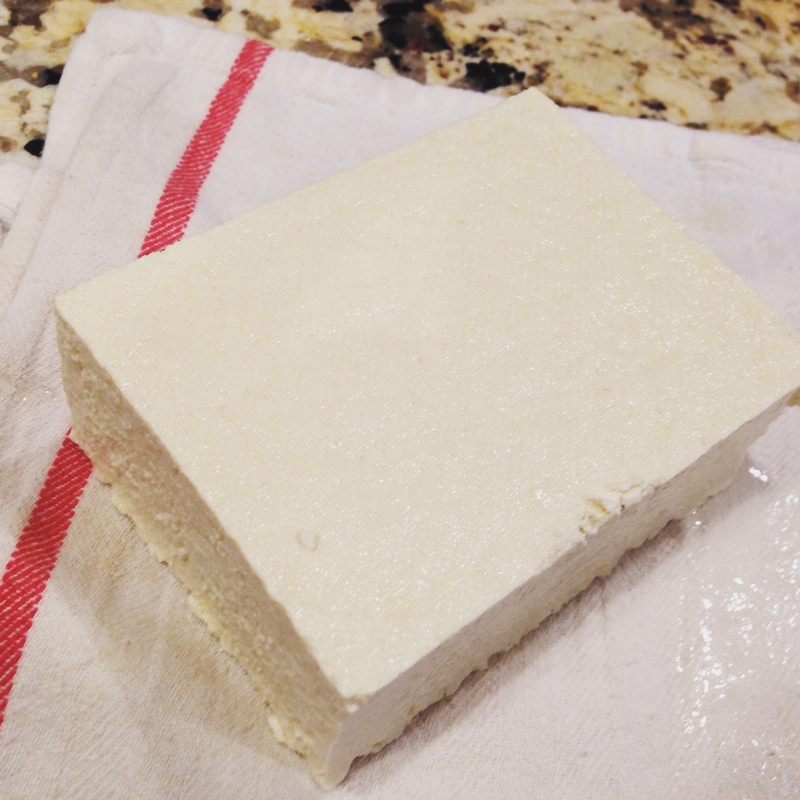 Repeat per block of tofu used. Each block serves 2-3 people generally. Preheat oven or toaster oven to 375 degrees. Line a cookie sheet with parchment paper. 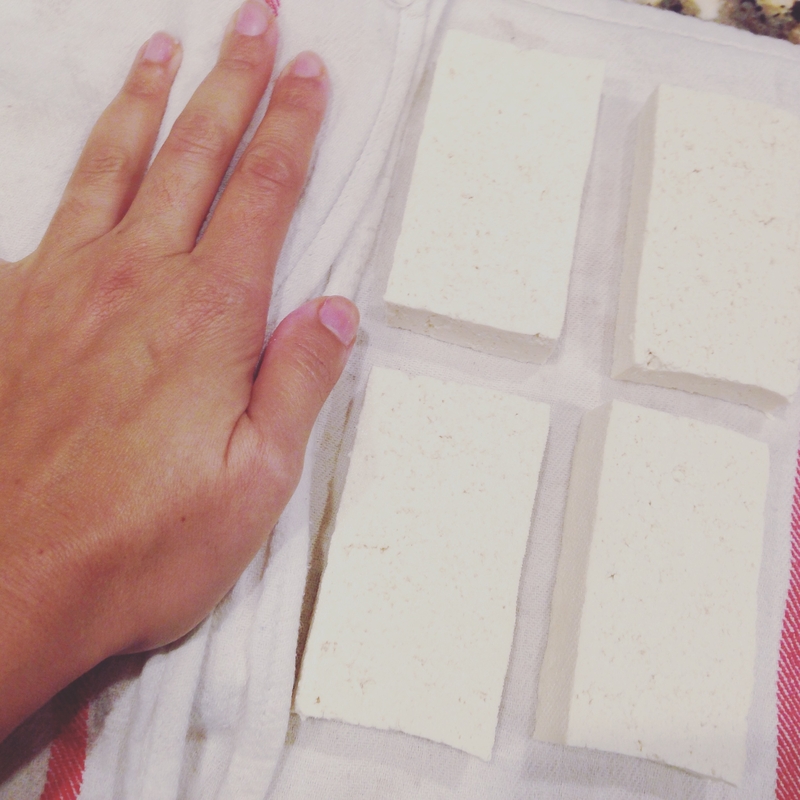 Absorb water from tofu slices with paper towels or clean kitchen cloth. Mix together breadcrumbs, coriander, black pepper, and salt if using in a wide bowl or plate. Pour coconut milk in a bowl. Dip each slice in the coconut milk, then in the breadcrumbs, and place on the cookie sheet. 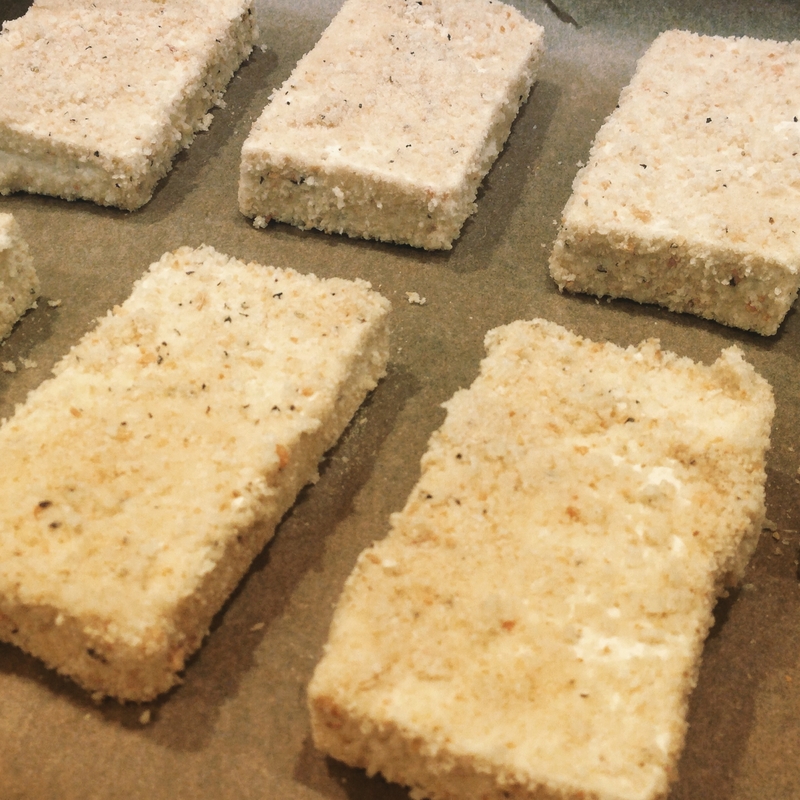 Spray the tofu lightly and bake for 15 minutes on each side. No need to spray again. 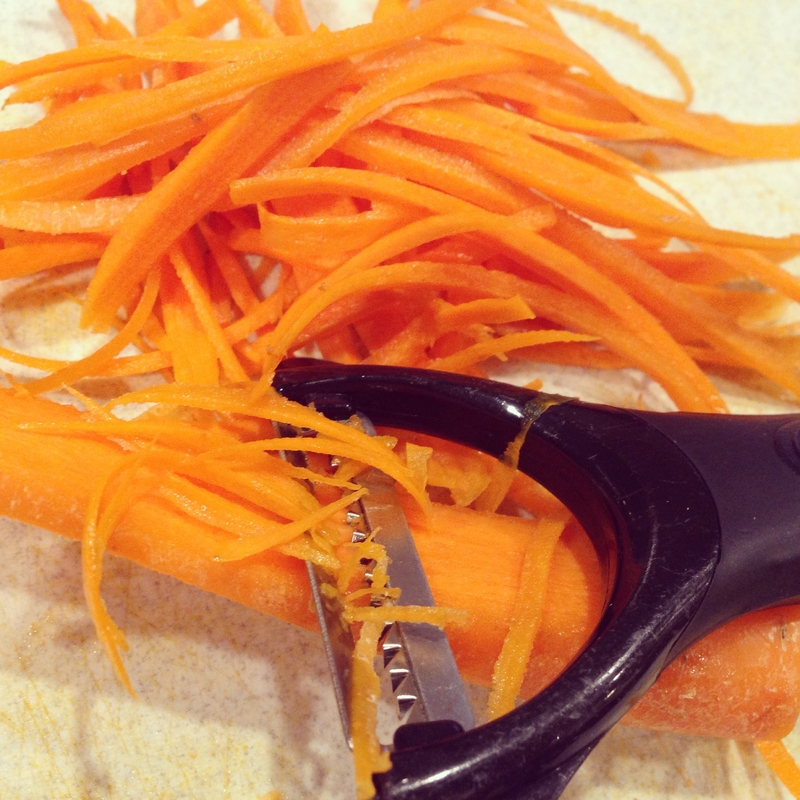 For the spring rolls, I used a julienned peeler for my carrots and cut the cucumbers into thin sticks. 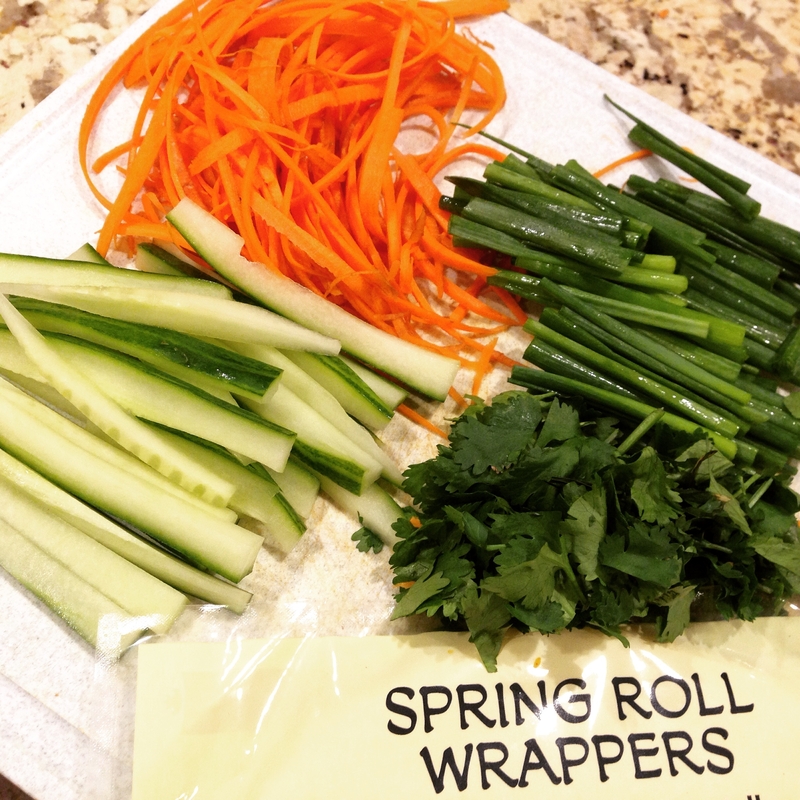 The wrappers feel very delicate but they don’t tear and although flimsy to handle, sturdy to roll. You’ll know what I mean when you try it! The translucent skin allows all of the pretty vegetable colors to show through. Love that presentation! Dip 1 rice paper sheet in bowl of water and let soak for 15 seconds. Gently lift out of water and lay on the wet towel. 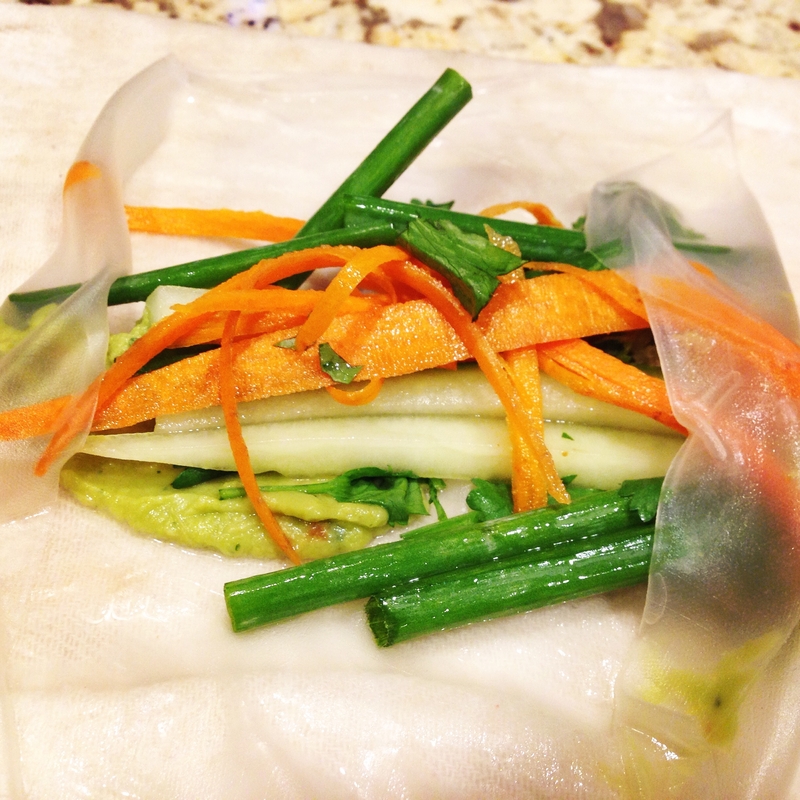 Place 2-3 pieces of each veggie and a sprinkle of cilantro lengthwise in the middle of the wrapper. Fold the right and left sides of the circle over each end of the filling then lifting the bottom of the circle, fold over filling, and roll forward. 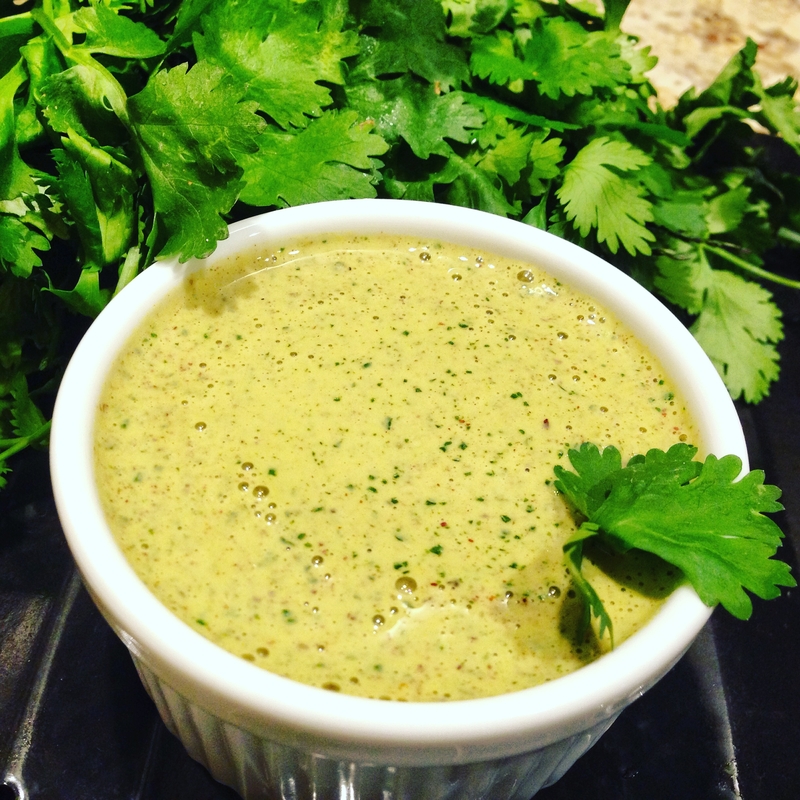 Chutney is essentially a textured, thicker condiment in between a sauce and dip. I experimented with an idea I had and didin’t even realize until we were done eating that it didn’t require any garlic or ginger! 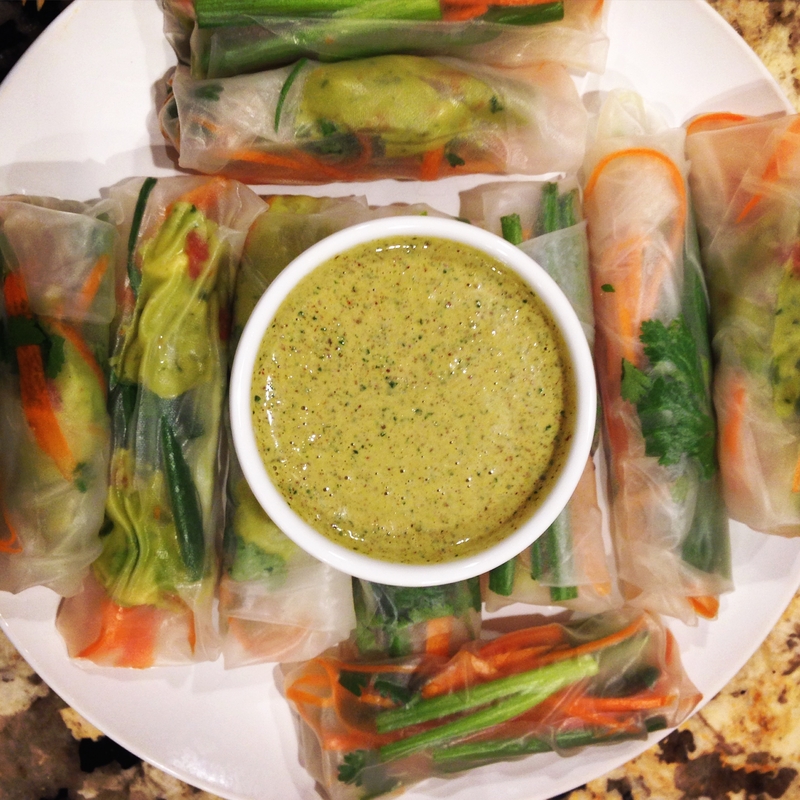 The citrus nut chutney was a marvelous match with both the tofu and spring rolls. Recommend using a food processor. 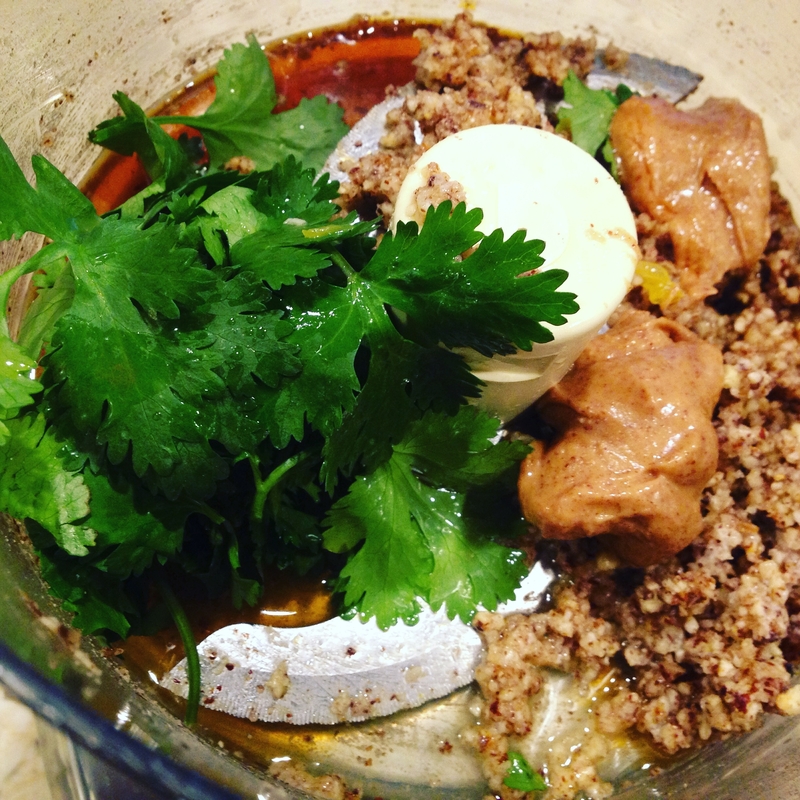 In a food processor, pulse together hazelnuts, coconut oil, salt, pepper, and ground coriander until a coarse meal. Add remaining ingredients and blend until creamy and incorporated.